Parking rules are rarely followed unless there is a meter or security guard present. 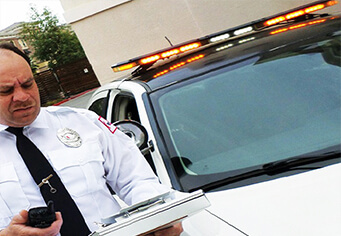 Tell Citiguard your parking rules and regulations we will have our patrol or on-site security guard enforce them by either issuing a citation or after a certain length of time, having the vehicle towed at the vehicle owner’s expense. When a vehicle is parked in an unauthorized spot, it can slow down business. Citiguard can help prevent that by knowing who or what vehicle belongs to a designated space and issue citations to an illegally parked vehicle. If it has been determined that the need to chalk tires on visiting vehicles, that is what our parking enforcement security guards will do. Citiguard is waiting to help you with your parking enforcement needs.